Astroneer, a slightly more whimsical take on the whole survival genre, has been chugging along in Steam's Early Access program since late 2016. Where many titles have floundered when given this amount of public development time, Astroneer has managed to stay in the public eye and, if Steam reviews are to be believed, maintained a good relationship with its community. In part, this has been due to a fairly steady and forward-moving development cycle, which has most recently culminated in its biggest update thus far. This patch is mostly focused on the game's basebuilding and power systems, as detailed in the trailer below. 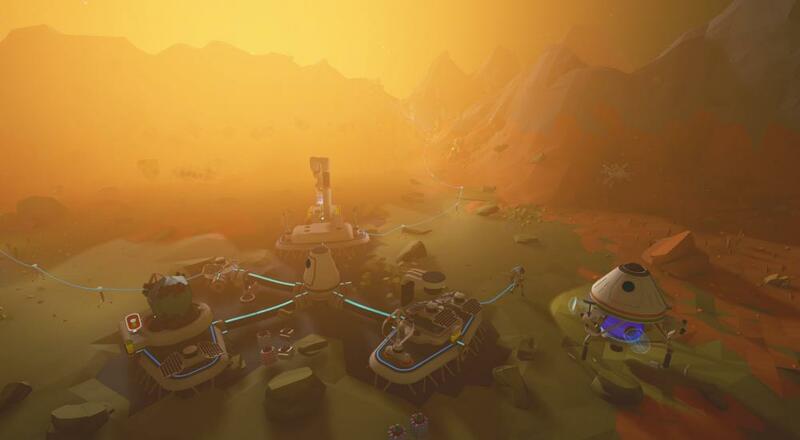 We haven't spent a great deal of time covering Astroneer lately, but the game's four player online co-op has been well received, and its forward momentum is showing no signs of slowing down. That's no small feat for a relatively small team handling development on two separate consoles (PC and Xbox One). I've been wanting a reason to check out more of it lately, and a brand new batch of base-centric content may be just the thing. Page created in 0.3428 seconds.